Also known as a color frame or media frame. 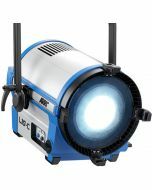 Designed specifically for the Arri L10 LED Fresnel. Works with Color, Tungsten Tuneable, and Daylight Tuneable versions. 13.9" x 13.3" x 0.2"